I have to tell you that gardening this year has been pretty difficult. The drought here in California is putting a definite cramp in my style. I like to let my garden flowers, shrubs and bushes grow over the spring and summer. This year I am finding that I have to cut things down more, because of the water requirements of bigger plants. I was so glad to be able to review new Gardening Shears this year, we have really needed them. The Planted Perfect Pruner have been so great to cut off both dead wood and live branches that need to get cut back. Bypass pruners such as these are much better used for live branches. However, I did use them for both for the review. I really liked how smooth and clean the cuts were, it made it so much easier to still make my plants look good even though they were smaller. I really liked this little groover they have in it that saves the sap from running down the handle, it also kept the ants off my hands. They are made very well and they are very easy to clean up after use. These Planted Perfect Pruners made the job of pruning easy and fast. When you have a great bypass pruner it slices fast and does not rip the plant, this is really important, you are trying to prune the plant does not kill off branches. I used these on medium sized branches, I am going to say under 1/2 inch and they worked well, I did try to do one branch a little larger and it cut it just not quite as clean and it was a little harder to squeeze. 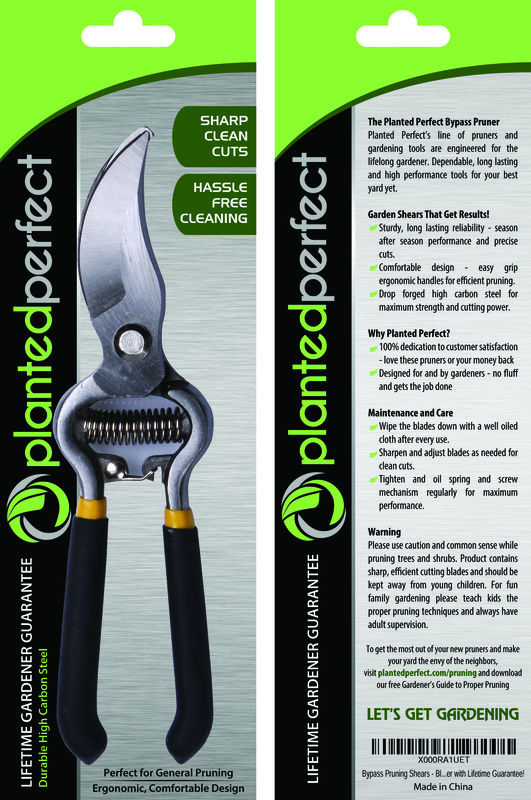 It’s important to have good pruners on your plants, and these Planted Perfect ones are very good. 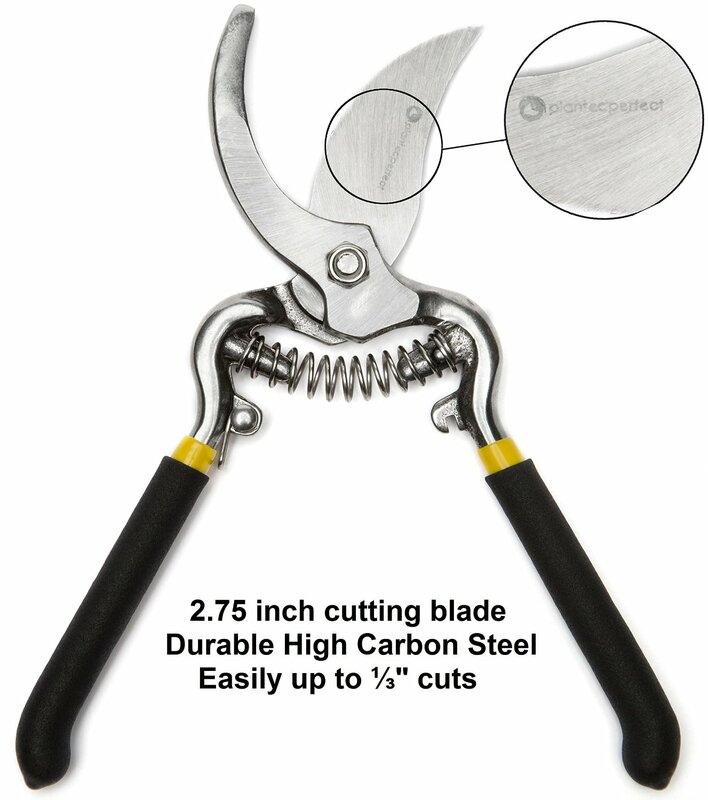 Love these pruners or your money back, these are made out of high carbon steel and are rust resistant. They also have a lifetime guarantee. I think if a company stands behind their product, it shows you that they believe they are doing the best at making them. Next post: Do you put a mirror in the car for your baby?